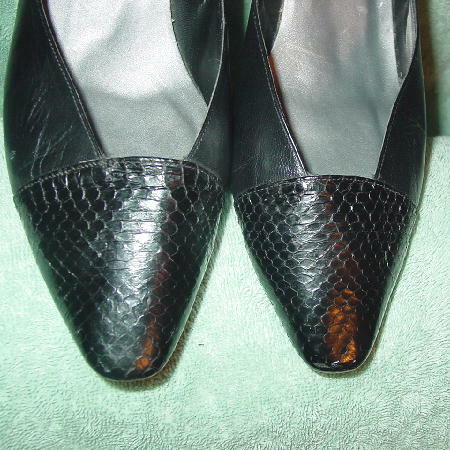 These smooth black leather and snakeskin vintage Impo shoes have modified rounded toes. 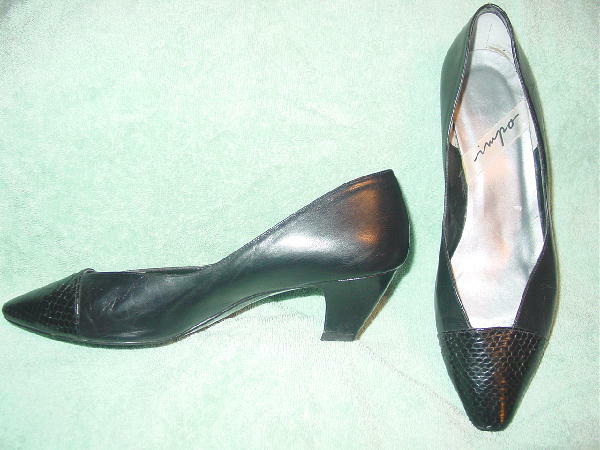 The toe area is snakeskin and the rest of the shoe and heel are leather. They have silver-tone insoles and black linings. The lining is starting to flake a bit on the right shoe. 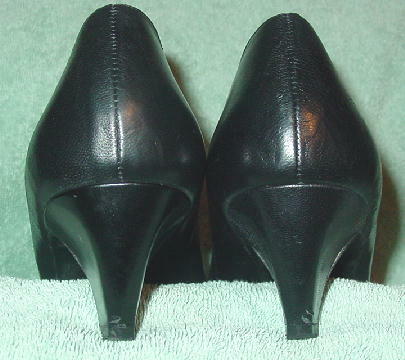 The shoes and heels have some scuff marks and the right heel has a ding. They're from a former German model who wore them a lot to castings.